“Unhealthy” fear? Does that mean there is a healthy fear? Yes. It is healthy to fear, insofar as fear is a signal of true danger, a perception of something in our environment or circumstances that is or could be dangerous. Unhealthy fear is fear that is unwarranted by the circumstances, and that comes instead from our memory, our imagination, or from demons. Psalm 91:9–12 makes it clear that God’s protection is based upon our obedience to His will. That’s the meaning of making “the Most High” your dwelling place. If we dwell in God we are, so to speak, living in His house and keeping His rules. As the Middle Eastern culture dictated, we as His guests will enjoy the full extent of His protection. Outside this refuge, we will have much to fear. 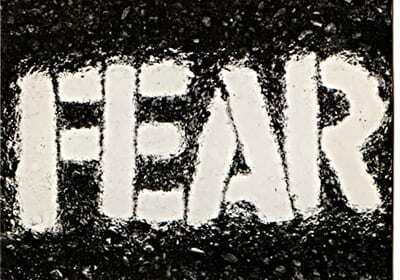 1 John 4:18 says, “…perfect love drives out fear….” The point is that we cannot just stop fearing. Rather, we must displace fear with God’s love, which is indicated by our obedience (1 John 5:3 “This is love for God: to obey his commands. And his commands are not burdensome,”). Most of the time our problem is not actually fear, it is a lack of love. Unless we come to know and experience true love, we will ever be motivated by fear. Finally, we need to respond properly to our fear. One way is to have a plan whereby we actually premeditate our actions. We can also imagine what is the worst thing that could happen and mentally prepare for it. If we are afraid of losing our job, we update our resume. If we’re afraid we’re going to die, we write love letters to all our friends and family members to be read after we die. In his song “Live Like You Were Dying,” Tim McGraw asks his friend what he did when he found out that he was dying. His friend says, “I loved deeper and I spoke sweeter, and I gave forgiveness I’d been denying.” Living that way could take a lot of the fear out of dying. Read Joshua 1:1–9 for a good primer on courage. Joshua must have been worrying a lot about what would happen now that Moses had died. Joshua had looked up to Moses, and had happily served him throughout his life. He derived much of his courage from Moses’ example and presence. What would he do now that Moses was dead?